If you’re a long-time reader, you’ll probably already known that I am an avid OnePlus fan. I’ve had every device from the Chinese manufacturer and, if the the company are keeping to their previous device roll-out schedules, the next “Flagship Killer” shouldn’t be that far away. 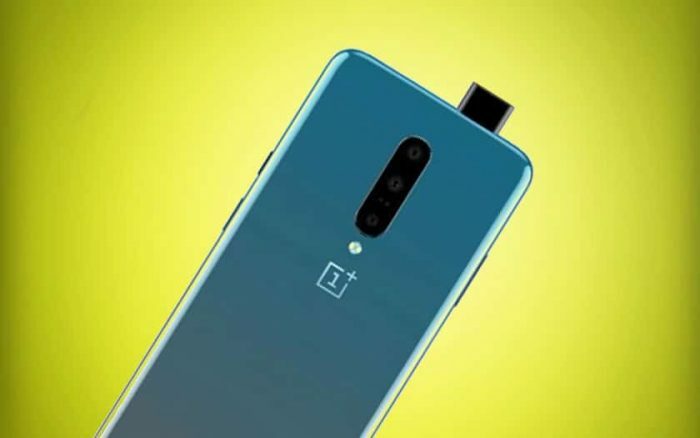 As always nowadays leaks are aplenty,and according to one leaker the OnePlus 7 release date could be in less than a month – and will come with the “OnePlus 7 Pro” alongside it. 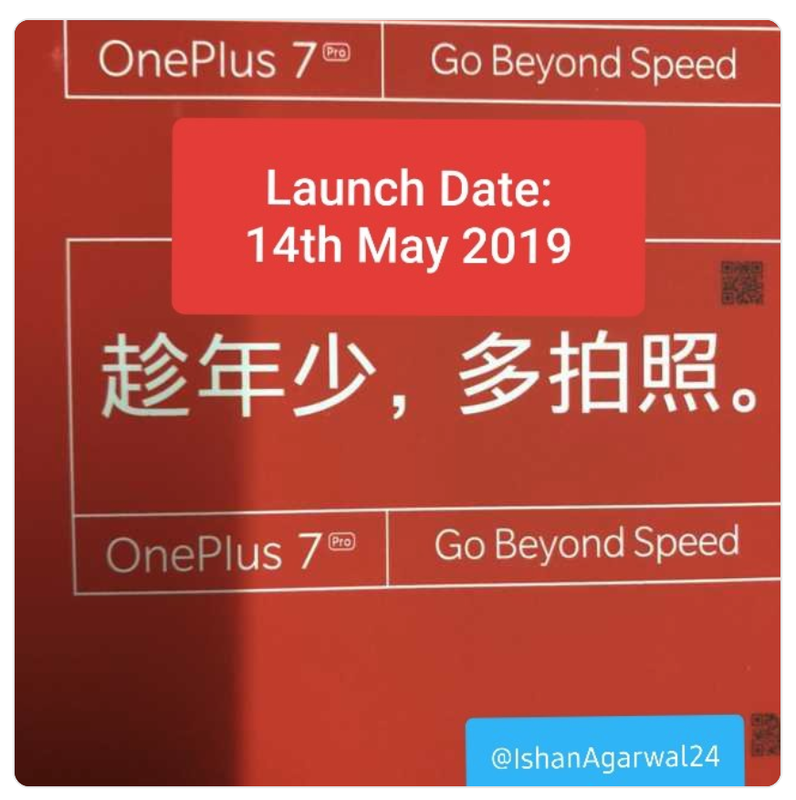 Ishan Agarwal says his sources have confirmed we will see the OnePlus 7 on the May 14th, so just a month from now. Also a global launch is mentioned, which is pretty much the same as other OnePlus launches. If this latest leak is correct, what is different is that OnePlus will be releasing two phones on that date. Alongside the normal OnePlus 7, we’ll also see the OnePlus 7 Pro if the leaked image is correct. With the tagline “Go Beyond Speed”, which I’m betting is going to be the 5G version of the new device. There doesn’t seem to be a notch on the device, selfies are taken care of with a pop up front facing camera. The front of the device does seems to have an almost bezel-less curved display and a underscreen fingerprint sensor. If OnePlus keep to form, the 7 will probably come with the Snapdragon 855 chipset and a boat load of RAM to boot. Agarwal is not a well known leaker, so the above has to be taken with a pinch of salt, but if it is true not long till we find out. 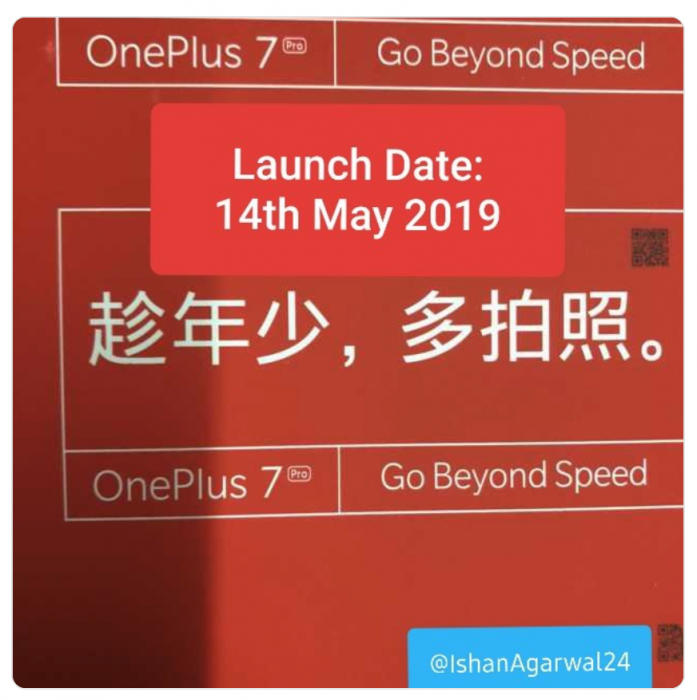 The post Possible May release date for the OnePlus 7 and 7 Pro is original content from Coolsmartphone. If you see it on another news website, please let us know.